Rickie McWilliams is a Mortgage Banker at Bank of England Mortgage. He graduated from University of Central Arkansas with a Bachelor in Business Administration with a concentration in accounting/finance. He started off working at Bank of England Mortgages Corporate office as an accountant where he managed mortgage transactions and prepared financials for branches nationwide. 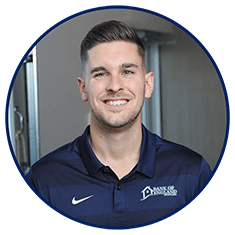 He relocated to Jacksonville take the opportunity to transition into a Mortgage Banker and help people make one of their most important purchases of their lives. His priority is ensure each client gets the right mortgage most suitable for their specific financial needs. He takes pride in advising people who do not qualify to help get into a position to buy or refinance. Rickie, his wife, and their two small children live an active lifestyle, enjoy all sports, traveling, and love spending time at the beach. They feel grateful to now call Jacksonville home.